I used to tell people that my biggest fear in life was losing my vision. Then, at the age of 22, my fears were realized. The diagnosis did not come quickly — retinitis pigmentosa (RP) is incredibly rare, so testing and diagnosing takes time. With no treatment and no cure available, I spent my time Googling my future and tried to wrap my mind around the fact that I could no longer drive, could no longer see as well as I thought I did, and this new normal I didn’t ask for would forever disrupt my life, my sense of creativity, and my identity as I understood it. Retinitis pigmentosa is a genetic mutation that affects the retina, the ultra-thin outermost layer of the eye. The retina is responsible for converting light into electrical impulses that travel along the optic nerve to the brain. My retinas are programmed to die, slowly over the course of my life. The most obvious side effects are a loss of peripheral vision and night blindness. It is a degenerative disease: it worsens over time. Sarah retains around five degrees of vision and an unquenchable thirst to experience the world. Pictured: Midform Universal Leather in Desert Sand and Original Universal in White. At the time of my diagnosis, I did what any Millennial would do: I turned to blogging and social media as a way to cope and seek community. Through the online community, I met Sarah Dever—a fellow California native who shared my condition—and we instantly became friends, united by our plight and our love for Mexican food. 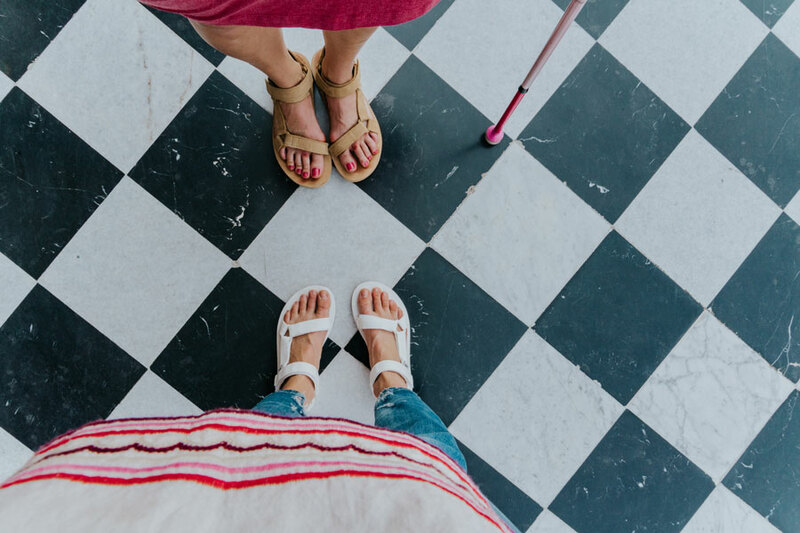 Years have passed, our vision has worsened, and we have grown up into determined women who refuse to be defined nor slowed down by a diagnosis out of our control. 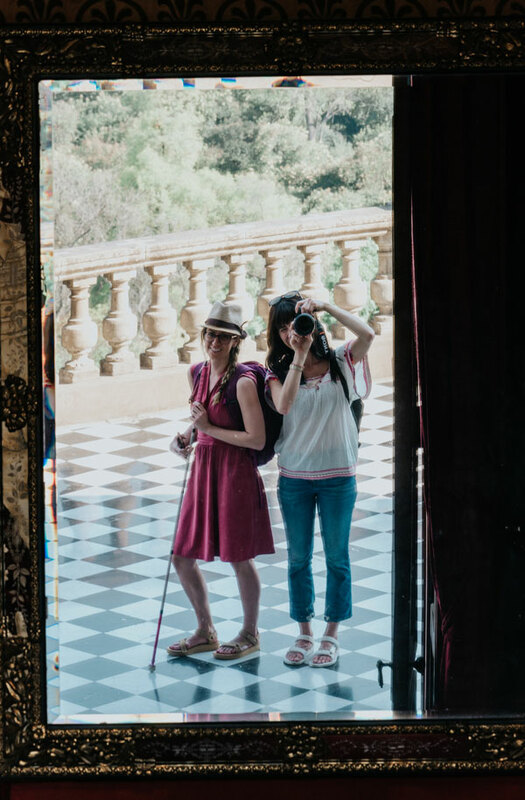 We both travel frequently and find immense joy in experiencing new places and cultures. 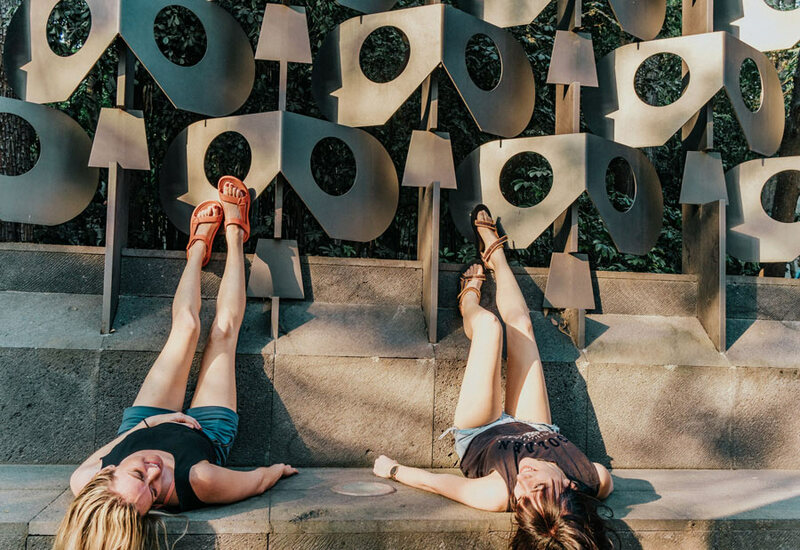 It was this shared passion that led us to plan a trip to Mexico City together, in search of endless street tacos and vibrant culture. Sarah wears the Midform Universal Leather in Desert Sand and Laura wears the Original Universal in White. Mexico City’s marriage between its ancient Aztec roots and modern metropolitan madness makes it a truly unique place. Everywhere we looked, we saw history, art, food, and color. Sarah is significantly more advanced than I am, so I guided her throughout the course of our adventure — an eye-opening experience, to say the least. (I know, terrible pun). 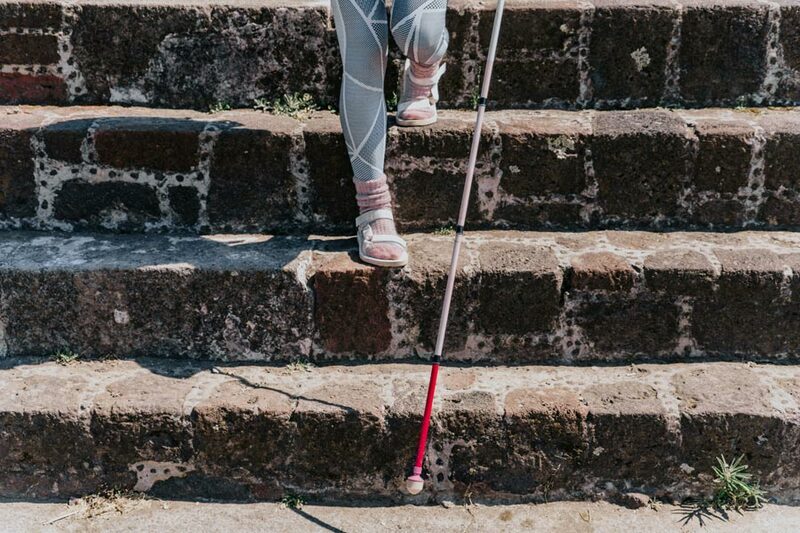 We laughed countless times as I unintentionally steered her into a wall or her cane tripped me… if you can’t laugh at yourself, you’re not doing it right. Retinitis pigmentosa affects everyone differently. Here, Sarah shares her story with me. Can you share a little of your background with RP: when were you diagnosed, and how is your vision today? I first found out about RP a week after my 17th birthday. I learned I was already legally blind with 12 degrees of vision. [Individuals with standard vision, including those who wear glasses or contacts, have around 180 degrees of peripheral vision from side-to-side and top-to-down. Legal blindness is defined as 20 degrees of vision or less.] Since the vision loss happens gradually over time I never realized I was visually impaired, I just thought I was clumsy whenever I tripped or bumped into people. I now know that I was compensating by always scanning and being extra cautious in low light settings without being conscious of it at the time. My case has been on the more aggressive side and is steadily getting worse over the years. I started developing cataracts in both eyes at age 22 which exacerbates sensitivity to light changes and glare. I have eye exams two to three times a year now because my visual acuity changes so much, and I see an ophthalmologist once a year to monitor my cataracts and a retinal specialist every two years. I currently have about five degrees of vision left. Wandering the cultural art exhibits at the Museo Nacional de Historia inside Chapultepec Castle. Pictured: Midform Universal Leather in Desert Sand. In your opinion, what is the biggest misconception about the blind and visually impaired community? People don’t realize blindness is a spectrum. Having a visual impairment means that the vision loss can’t be corrected to a normal range. I can’t just get a stronger prescription or Lasik to “fix” it. There are many different types of conditions that permanently affect vision and renders a person legally blind, but that doesn’t mean they don’t see anything. It’s a wide scale of sight, from light perception to 20/20 with a limited peripheral field. Pictured: Hurricane Drift in White. What were you most excited about experiencing in Mexico City? How accessible was the city for you? Honestly, food is a big part of my travel experience and I LOVE Mexican food. I grew up in LA and I’m part Mexican so I was really excited to go straight to the source. It was my first time in the country and I could not get enough of the street food! Mexico City is a cultural hotspot and I loved the blend of historical and modern influences. I found it really accessible with its extensive public transit. The sidewalks are pretty well maintained, there are tactile plates and audible walking signals, plus I was offered Braille menus at some restaurants. 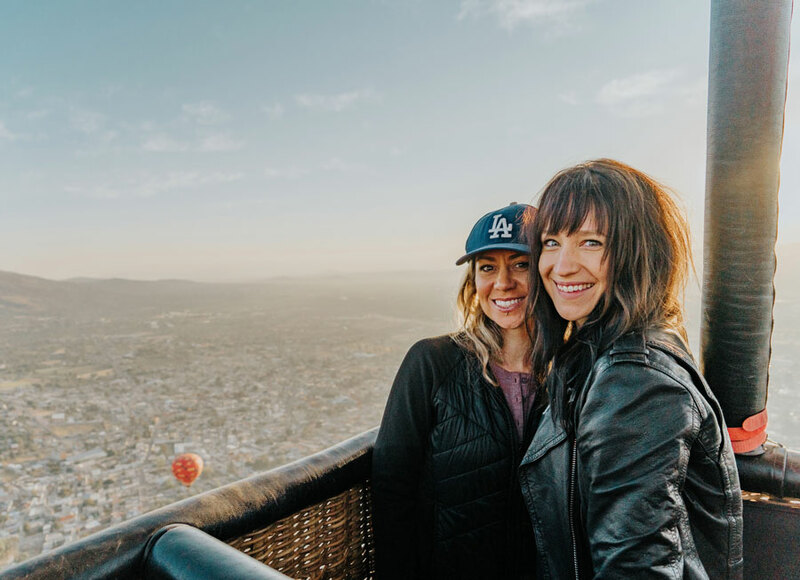 We did a hot air balloon ride (epic!) and tour at Teotihuacan to see the pyramids, and the guide was super descriptive when explaining the history and background of the indigenous people. He took extra care to let me touch some of the plants and items while explaining their significance, which was a really cool thing to do. The pyramids are a definite must-see, and I highly recommend checking out the Museo Nacional de Antropología beforehand to get a better sense of the history and people. 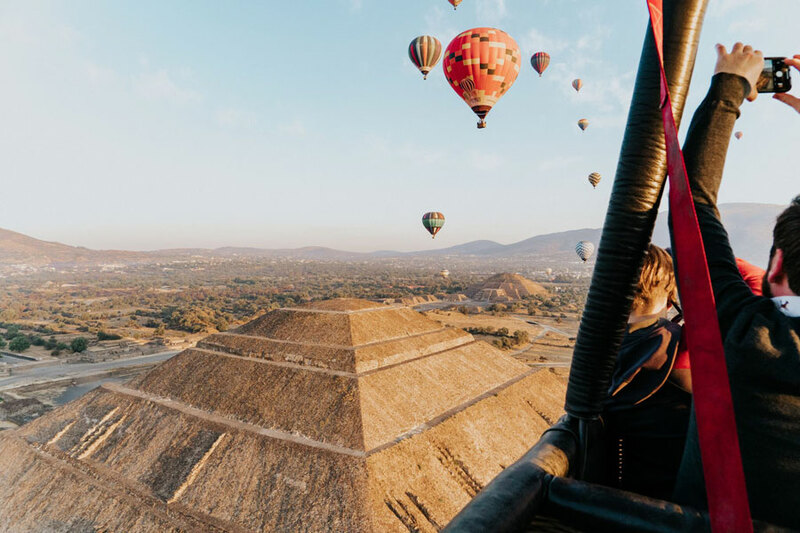 A view of the Teotihuacan pyramids from the inside of a hot air balloon. 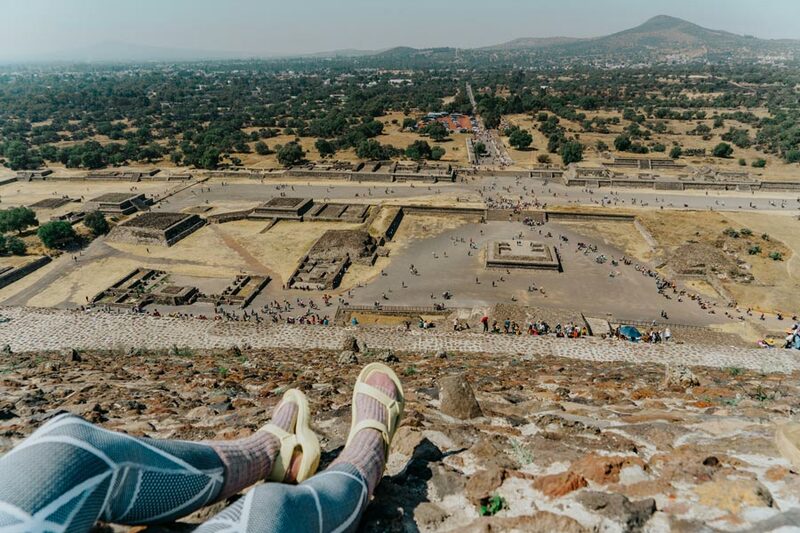 Exploring the Teotihuacan pyramids up close. Pictured: Hurricane Drift in Endive. Travel is a huge focus for younger generations today and also seems more accessible than ever before. What’s your next destination? I strongly believe travel is one of the best investments you can make in yourself. 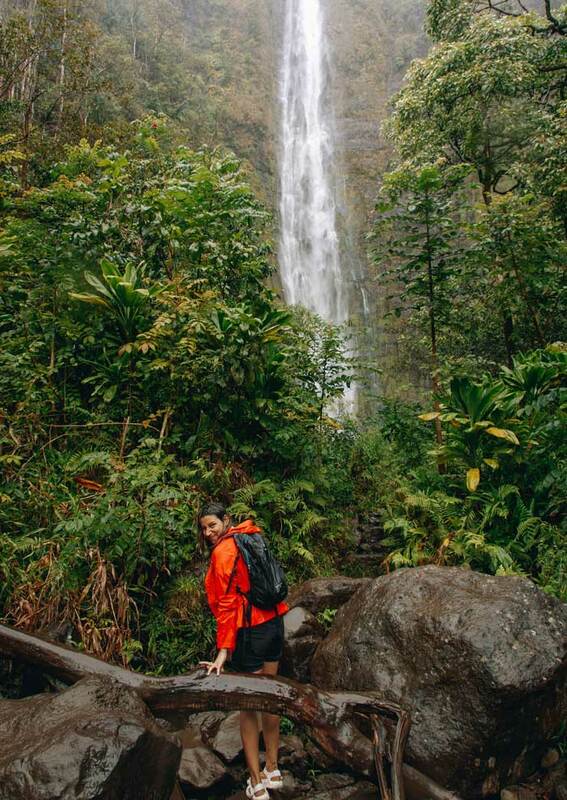 It’s not just about seeing a cool place to get that perfect Instagram shot — the process of travel itself will change you. Learning how to deal with unpredictable obstacles (something will always go wrong!) and interacting with different cultures makes you a stronger and more adaptable person. The more I travel, the more I realize we all have more things in common to bring us together than differences to divide us. 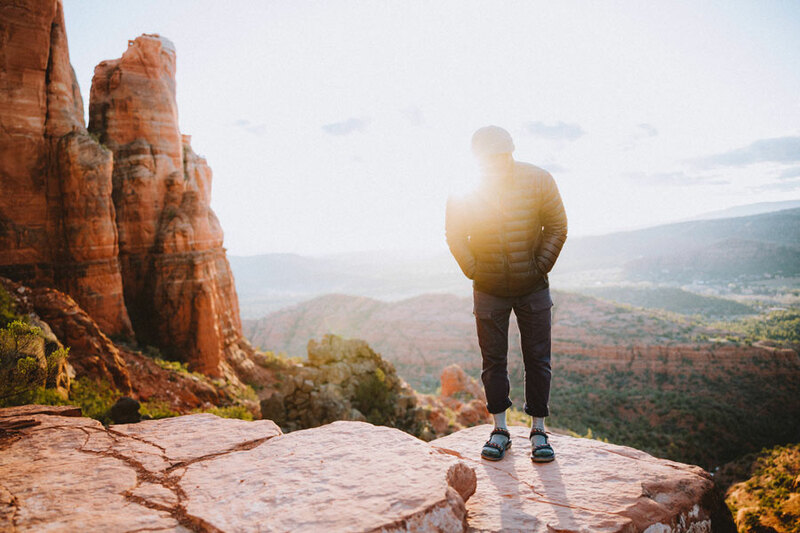 Traveling has shown me that people all over the world generally want to be helpful, share their stories, and find a human connection. This earth is a big and wonderful place and exploring it will test your limits, but the adventure will make you a better person. It’s helped me be more compassionate, and also take more proactive steps to eco-conscious living. My travel bucket list is never-ending and it’s always hard to choose where to go next! I’ve got a trip booked for Fiji and then I’m hoping to explore more of South America this year. Pictured: Hurricane Drift in Mango. In addition to your world travels, you’re also a runner and have completed many marathons. Can you describe your training process? How do you and your guides work together? Training for a marathon is like having another job: scheduling runs and workouts, keeping track of nutrition and planning out meals, making time for active recovery and rest days, saying goodbye to social life—it’s a huge time and energy investment! Logistically it takes more work for me because I have to coordinate with guides for every run and make sure our schedules line up. In order to guide a visually impaired runner you need to be willing to give descriptive directions (curb in three more steps, turning right, overgrown bush on the left) and call out to other runners or cyclists to move. Having open communication is key to a guiding partnership, especially since we end up running together for hours at a time. During training runs, there are generally fewer obstacles so I end up chatting with my guides and a friendship naturally develops. Races are crowded, noisy and the ground gets littered so the safety of the VI (visually impaired) runner is always a priority. I rely on my guide 100% to navigate me through the start line chaos and until after the finish line. I’ve been lucky enough to connect with a great group of VI runners and guides through United In Stride. It’s been a great experience each time and I’m grateful there are so many runners willing to share their time with me. 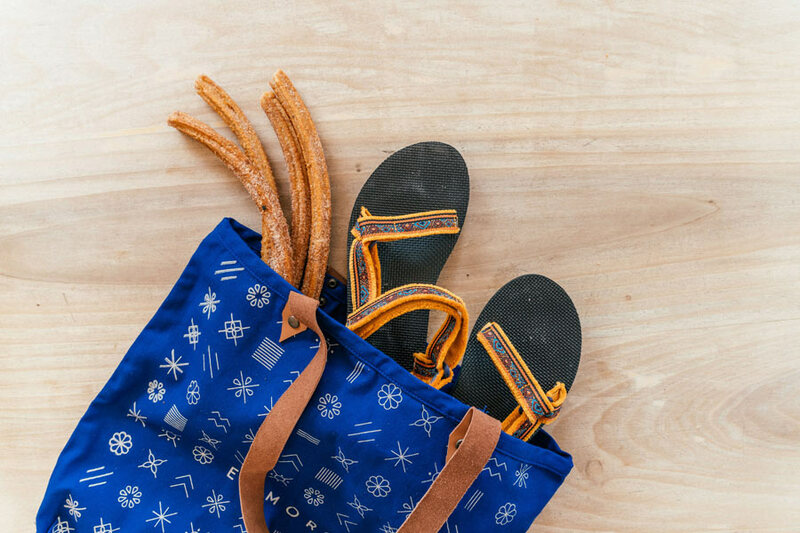 Churros to go. 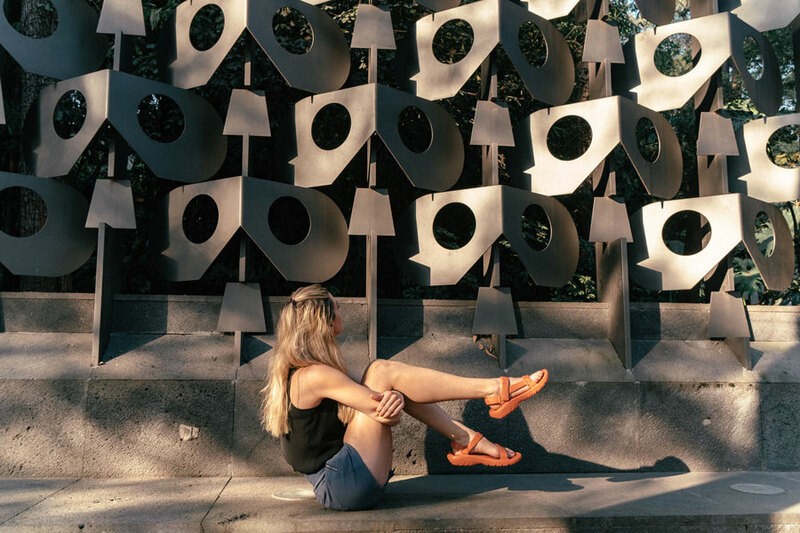 Pictured: Original Universal Maressa in Sunflower Multi. Pictured: Original Universal in White. 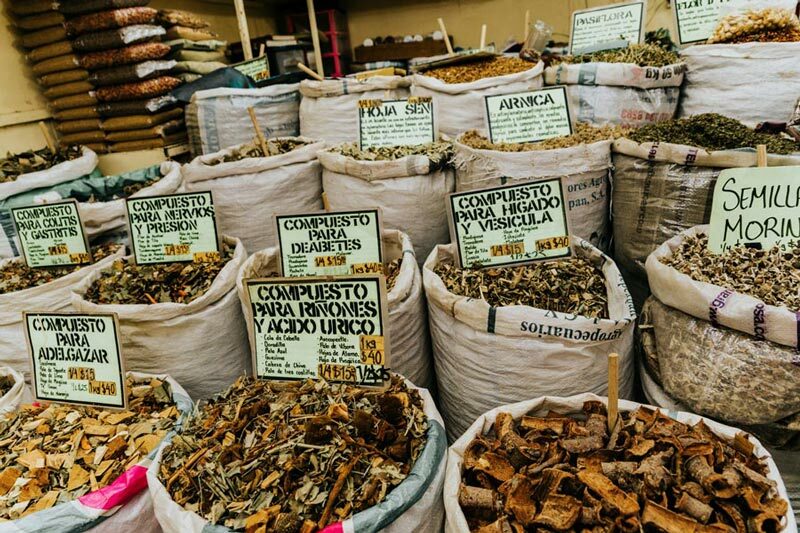 The fragrant scents of bulk spices for sale in Mexico City. You’re such a well-prepared traveler! What are some must-haves on an international trip? For every long haul flight, I wear compression socks to improve circulation when sitting for so long, a travel humidifier to counteract dry recycled air and a reusable water bottle. 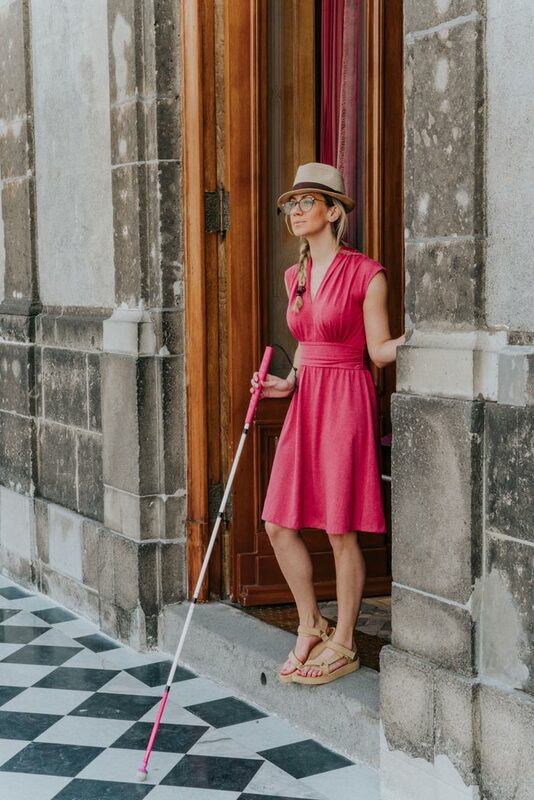 I travel with a 40L backpack so that I can easily use my cane, but it’s also easier when traveling through train stations, cobblestone streets, catching ferries and so on to not worry about a suitcase. Because I travel light, I have a minimalist approach with gear, so high quality and low quantity is the goal. 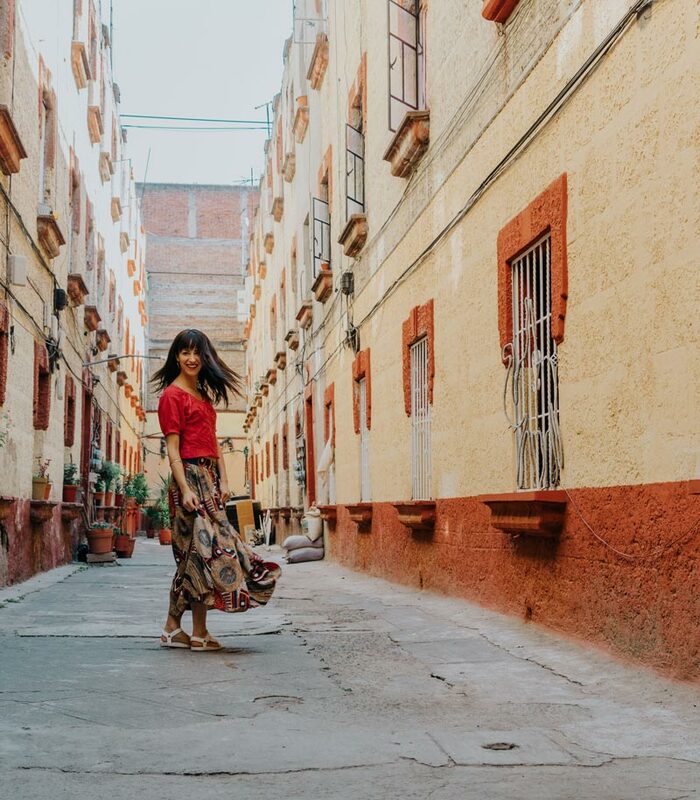 I was surprised how well my Original Universal Maressa sandals worked in Mexico as far as comfort and versatility—plus they’re easy to pack. They are now coming with me on every trip! 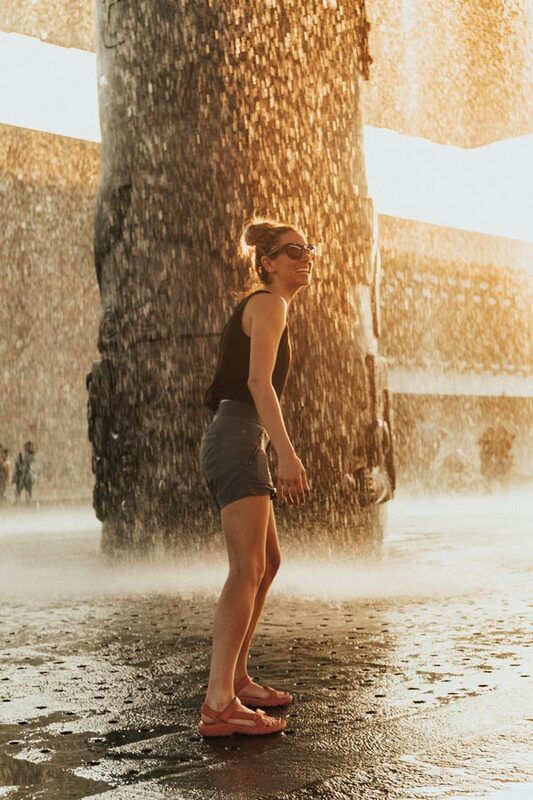 Sarah cools off in the lively fountain outside of the Museo Nacional de Antropología. Pictured: Hurricane Drift in Mango. Retinitis pigmentosa is a genetic eye condition, that gradually leads to extensive vision loss, and sometimes complete blindness. There is currently no known treatment or cure, but there is hope: the FDA recently approved the use of the Argus II Prosthetic Retina, and advances are made yearly in stem cell research. To learn more, please visit the Foundation Fighting Blindness. 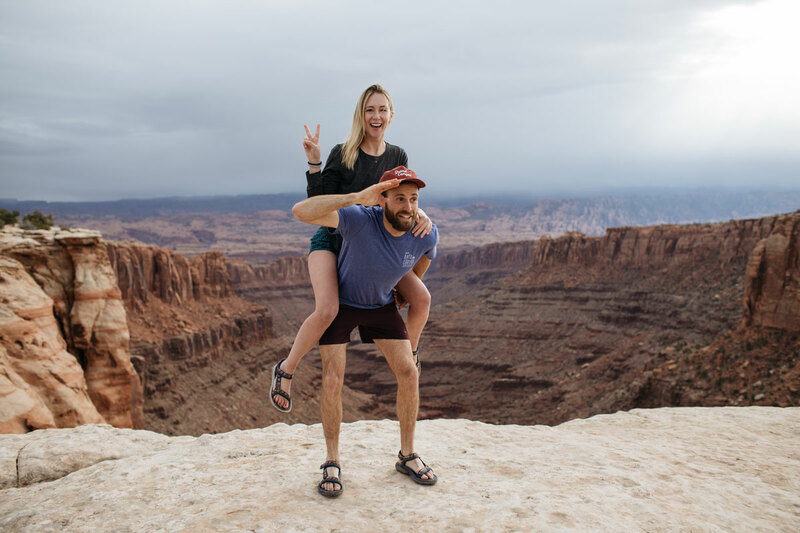 Shop the latest sandal styles featured in this story at TEVA.COM.